Panama City, Colon, Panama Canal, Fort San Lorenzo, Chiriqui, Los Quetzales, Bocas del Toro, and more! The country of Panama boasts exotic tropical rainforests, cool gorgeous mountain refuges, Caribbean beaches, many Indian cultures, a pretty Miami-style capital city, historic venues (Columbus and Balboa both came to Panama), adventure, and one of the world’s engineering marvels: The Panama Canal. Panama is one of the best places in the world for ecotourism today, positioned as a narrow land bridge connecting two continents and several diverse and pristine rainforest preserves. It has a wide selection of beaches, with a long twisting coast and hundreds of islands on both the Atlantic and Pacific Oceans. 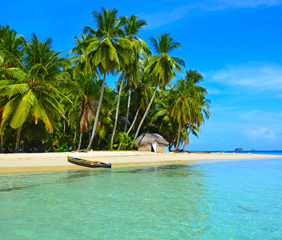 There are many good reasons to visit Panama. The country is safe, with a first-world (not third-world) infrastructure of roads, medical care, communications, and business services. It is tourist friendly, with English spoken as a second language. It is just a short plane ride away, with several major U.S. cities offering direct daily flights. Discover the best of what Panama has to offer! During this incredible adventure you’ll explore the beautiful, white sand beaches of Bocas del Toro, explore the rainforest jungles, the vibrant capital city, pirate towns, colonial architecture, and the greatest engineering tribute to man — the Panama Canal. Arrange your international flight to leave your home city sometime today, arriving in Panama City, Panama by late afternoon today. (Search for flights using the airport code: PTY). After collecting your luggage and going through customs, exit the customs area through the right side doors. A driver will meet you there and transfer you from the airport to our city center hotel. Toto Tours hosts a Welcome Dinner this evening. During the half-day morning tour we will visit the ruins of Old Panama, climb up the Cathedral tower, visit the Old Panama Museum and then continue to Casco Antiguo (the old city compound), which dates from the late 1600’s. Casco Antiguo is home to monuments to Ferdinand de Lesseps and other Frenchmen instrumental in the ill-fated attempt of the French to construct a canal through Panama. Next we visit the Miraflores Locks at the Panama Canal to marvel at the workings of this feat of human engineering. In the afternoon, we travel to the town of Balboa, formerly part of the Panama Canal Zone. Upon returning to our hotel in Panama City, the evening is free. Crossing the country along the Panama Canal by train, you will get from the Pacific Ocean to the town of Colon on the Caribbean Sea in just one hour. The huge panoramic train windows offer breathtaking views as you weave in and out of lush tropical rainforest along the Panama Canal. Upon your arrival in Colon, you will be picked up by your driver for a short road trip (about 1 hour) along the Caribbean coast to charming Portobelo, a sleepy little town now but once one of the most important ports in the Caribbean Sea! After touring the ruins of the colonial port, we board a boat bound for a nice beach, where we will have time to sunbathe, swim or snorkel over coral reefs. We return to Panama City at night. 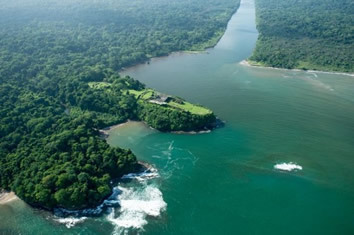 Today we take a short ferry ride over the Panama Canal in the Colon province and make our way to Fort San Lorenzo, a UNESCO World Heritage Site situated on cliffs overlooking endless rainforest and abandoned coast lines. Enjoy the rich history and extensive panorama of the fort and hike through the rainforest within San Lorenzo National Park, watching out for monkeys, Two and Three-toed sloths, coatimundis, toucans and other wildlife species. Lunch will be at a local restaurant. In the afternoon, we visit the new Agua Clara Locks, part of the massive Panama Canal Expansion. The Visitor Center was built in an ecologically conscious manner, taking advantage of its natural surroundings, allowing its visitors to have an amazing panoramic view of the Canal while also being in the middle of nature. Walk along an ecological trail close to the Center and identify the different species the Panama Canal Rescue Team has relocated within the trail. Afterwards you will return to Panama City. A morning flight takes us to the city of David located in the Chiriqui Province. Upon arrival you will be transferred to your hotel in the charming highland-village of Boquete. 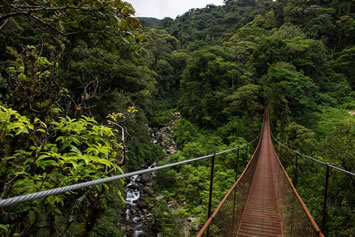 In the afternoon, we embark upon the Highland Skywalk, a 3½-mile circuit of bridges taking you through the treetops of the cloud forest. 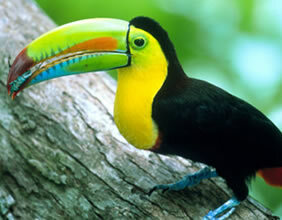 You will be able to see exotic bird species and other animals native to the area. Admire the extensive panoramic views of the surrounding scenery as your guide interprets the ecosystem and its wildlife inhabitants around you. The evening is free at our hotel. Today we will hike part of the famous Los Quetzales trail, which is said to be one of the most scenic trails in Central America. You will depart from your hotel in Boquete in the early morning to reach the ranger station at the Baru National Park, where we start our hike. Walking through breathtaking landscapes varying at different altitudes, you will have the opportunity to spot a variety of trees, plants and bird species, including the Quetzal and Magpie Gorgiplateada, amongst many others. In the morning after breakfast you will get on a scenic road trip from the highlands to the Caribbean archipelago of Bocas del Toro. Crossing the continental divide, you will see how the landscape changes at different altitudes. Upon your arrival to Almirante, you will go on a boat transfer to Isla Colon and then a taxi transfer to our hotel. The rest of the day is at leisure to enjoy the beach or explore the island. 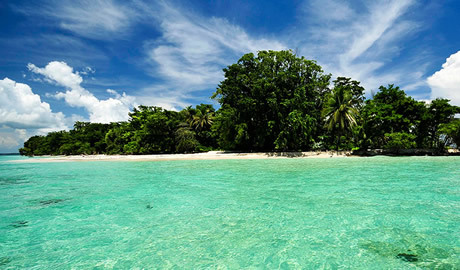 The picturesque tropical archipelago consists of white-sand islands covered by rainforest and surrounded by coral reefs. 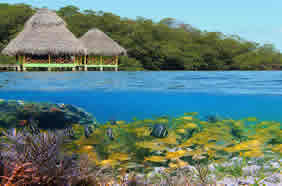 Spend your days at your leisure, relaxing or exploring the islands and their marine surroundings. Enjoy the morning at your leisure, before being transferred by boat to the airport of Bocas del Toro on the main island after lunch. Our domestic flight taking us back to Panama City is just a short hope of approximately 45 minutes. Upon arrival we transfer to your hotel in Panama City. Our Farewell dinner tonight will be at a local restaurant in Casco Viejo. The tour officially ends after breakfast this morning. You can plan your outbound flight for any convenient time today. If you wish to extend your stay in Panama City, please let us know on your reservation form so that we can keep your room available for another night. • Camera fees; alcoholic beverages;laundry, telephone calls, faxes, or any other expenses of a personal nature. Located in the centre of Panama City, DoubleTree by Hilton Panama City is set opposite El Carmen Church and 500 m from Cinta Costera. It features a rooftop pool and a spa with a hot tub and gym. Local and international cuisine is served in the City Café Restaurant. There is also a cocktail bar. DoubleTree by Hilton Panama City’s spacious, air-conditioned rooms and suites have modern décor. There is a flat-screen TV, a minibar and coffee maker. The bathrooms come with Neutrogena toiletries. Suites also offer free Wi-Fi. The hotel offers easy access to Via España Avenue and is a 30-minute drive from Tocumen International Airport. The famous Panama Canal is 12 km away. Just a 3-minute walk from central Boquete, Hotel Valle del Rio features a gym and casino. There is free Wi-Fi in public areas, and rooms include cable TV, wired internet and an iPod dock. Guests can enjoy a drink or meal in the hotel’s bar and restaurant Paladar. There is a terrace overlooking the river. The modern rooms feature wooden floors and a ceiling fan and air conditioning. They have a safe, minibar and a coffee maker. The private bathroom comes with a hairdryer, shower and toiletries. Suites also have a living room and well-equipped kitchen. There is 24-hour reception and free parking. The Baru Volcano National Park is a 30-minute drive away. Bordering the crystalline waters of the Caribbean Sea, the Hotel Bocas del Toro offers elegant rooms with free Wi-Fi. It has a restaurant opening onto the sea, and is a 20-minute walk from the airport. Located on a deck over the water, the restaurant has a menu based on seafood, and tropical and local dishes. A breakfast buffet is served every morning, and a snack bar with TV area is also available. The staff can arrange a tour along the archipelago and the coral reef, where diving, snorkelling and kayaking are also possible. After a busy day, guests can enjoy a variety of massages in their own room. Citizens of the U.S., Great Britain, Canada and Australia only need a passport, valid for up to six months, and a tourist card. The tourist card costs $5 and is usually sold to you by your airline when you check in. You can purchase your card on your arrival in Panama from the immigration authorities. No immunizations are currently required for travel to Panama, but it is wise to have your inoculations up-to-date. Is your tetanus booster current? Some airlines include the cost of departure tax is $40 U.S., but most airlines include that cost within the price of the airline ticket. If your airline does not include this fee, you will need to pay it prior to your departure. On this tour, international airfare is NOT included. You will need to get your international air to/from Panama City. You will need to arrive in Panama City by 4:00 pm on Friday, February 2, 2018. Early morning departure is from Panama City on Sunday, February 11, 2018. 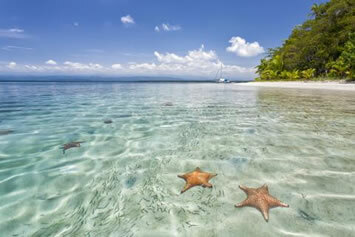 Two internal flights within Panama are included in the price of this trip. 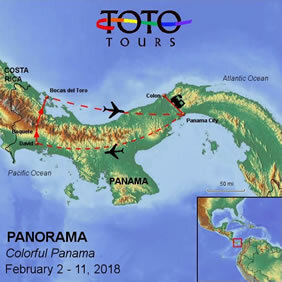 This tour occurs during Panama’s dry season, but there still remains the possibility of a brief rain shower. Being close to the Equator, Panama’s average daily temperatures remain remarkably constant throughout the year, between 70 and 90 degrees in the lowlands areas where we will be traveling. Pack accordingly, but try to limit yourself to two small suitcases. Electric current is variable from place to place within the country, either 110 volts, same as in the U.S., with standard plugs and outlets or 220 volts similar to Europe. Pack all medications in a carry-on bag and leave expensive jewelry home! Panama uses the US dollar as its currency. The official name for it is the balboa, but it is exactly the same bill. Panamanian coins are of the same value, size and metal as US coins; both are used. In most of Central America, US dollars are the only currency exchanged. 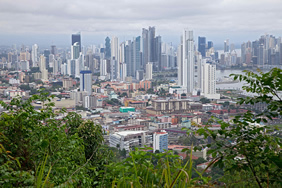 In Panama City, however, you can exchange currencies from almost anywhere in the world at a casa de cambio, due to the city’s large international offshore banking industry. Tipping is not obligatory in Panama, but it is recommended for good service. You can tip some small change, or around 10% of the bill if you’re feeling affluent, in fancier restaurants; in small cafes and more casual places, tipping is not necessary. Haggling over prices is not the general custom in Panama. We will offer a group tip to guides and drivers, and more details will be provided before departure.